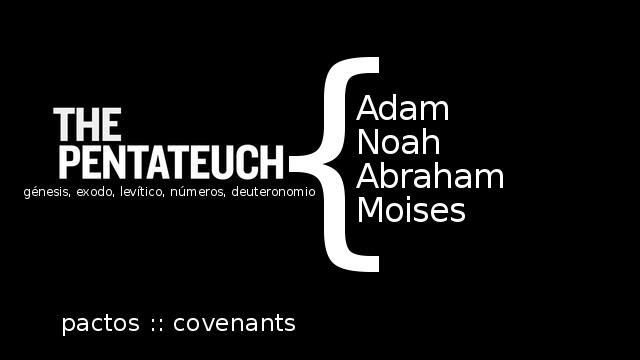 Our Fall series is focused on the covenants in the Pentateuch. God relates to His people in a very formal way, that is called a covenant. This Fall we will be looking at different examples of such covenants, particularly in the first five books of the Bible – the Pentateuch. To demonstrate how different God really is; we call that God’s holiness. To remove our doubts and excuses regarding His love for us. 17 So when God desired to show more convincingly to (B)the heirs of the promise (C)the unchangeable character of his purpose, (D)he guaranteed it with an oath, 18 so that by two unchangeable things, in which (E)it is impossible for God to lie, we who have fled for refuge might have strong encouragement to hold fast to the hope (F)set before us. It is my prayer that this series may remind us of His unchangeable love for us.